Differently abled Kumar Majhi, 40 is living in Manakamana temple, a popular shrine at Khandbari Municipality-9 since 32 years. Kumar is a first son of Parshu Ram Majhi and Chandra Kumari Majhi and he is living a disabled life since when he was eight years old. At present he needs assistance every time whether it is while eating, drinking or going to the toilet. In a child hood, Kumar was very active and clever too. He started to go to the school when he was until eight. In a spare time he used to go for shepherding cattle and goats. Apart from that, going for swimming and fishing was almost regular. Whenever there was a holiday, he used to go for swimming or fishing. He even used to take care of his brother and sister when his parents were out for the work along with giving hand to his mother in a daily work. He was very dear this parents. There are five family members in Kumar’s family. The Majhi family was surviving by sailing boats in a river and agriculture. For some income and for manure in the field, they had kept some cows , goats and oxen. 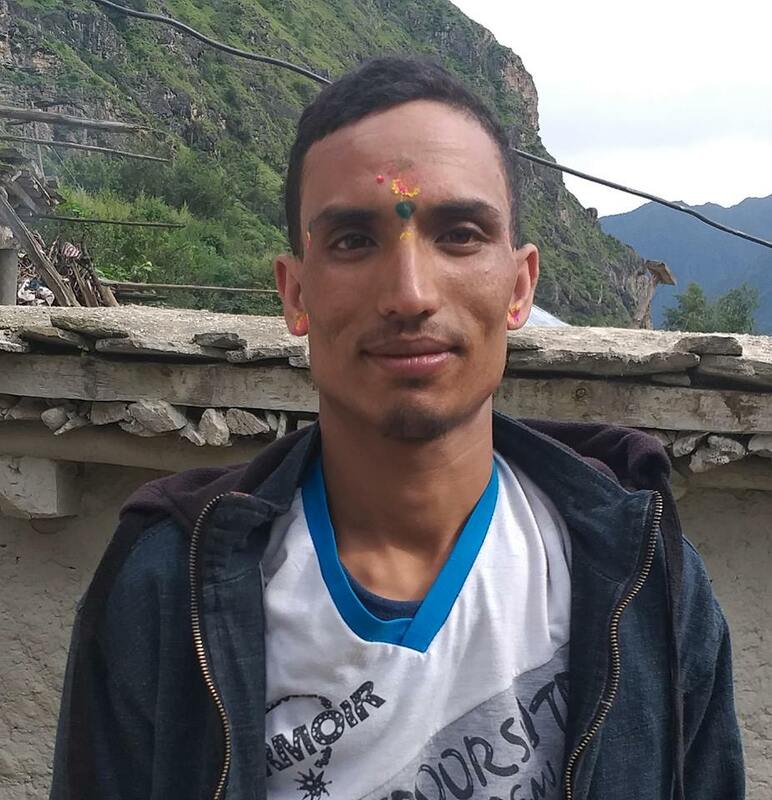 Kumar was studying in two standard in a local school. In the year around 1985, he went as a shepherd with his neighbor. That day only two of them were doing shepherding. After coming back, both of them were suffering from headache and fever. Their condition starts to deteriorate. Their family called witch doctors and did everything they can. At that time there were no enough hospitals opened. On the same night Kumar’s maternal uncle, who was with him during shepherding, died. Kumar gradually recovered but unfortunately he became disabled. “ I am lucky that at least I am able to see his face, he is still alive ”, said his mother Chandra Kumari with tears on her eyes. Kumar’s father Parshu Ram Did everything he can to cure his son. He did spiritual worships, sacrificed roosters and goat, however nothing worked.” Few years ago, I took him to Khandbari for treatment. Doctor told me to take him somewhere in a big city for his treatment. I wanted to take him, but what can I do?, I do not have money. We do not have even money to feed them, how can I treat him?”, said Chandra Kumari with full of tears on his eyes. 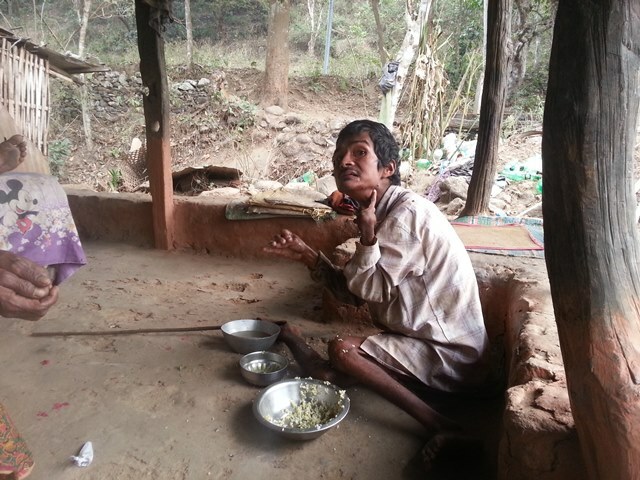 Kumar was receiving Rs 2,000 monthly as a disabled allowance from the government. From the last six months he is not receiving any of them. She said “the allowance was giving us a bit relief to groom my disabled son, but it is very hard to get it. Why they have stopped it from the last six months, I do not know. We are living with this money. I have a dream to see my son walking and being capable like any other, but what to do, my fate is like this”.